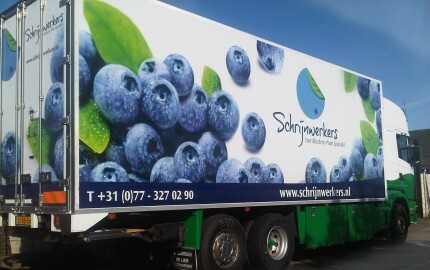 Schrijnwerkers is a blueberry company, founded in 1969 by Rob Schrijnwerkers. Nowadays, this family business has locations in Horst, Overloon (Netherlands), and Weeze (Germany). Schrijnwerkers has two production sites in Weeze of over 75 hectares together. The companies in Germany are known by the name Blueberry Giant and Valckx-Schrijnwerkers. In 2017 Rob’s son Leon has build a new nursery on the Overloon location for the propagation and cultivation of blueberry plants. The size of this modern nursery is about 8 ha. Leon Schrijnwerkers’ blueberries are sold in more than 30 countries. Codema B-E De Lier has carried out the electrical and water technical installations at all of his locations. Blueberries are fragile plants and therefore precise control is of high importance. Codema B-E de Lier has been supplying to soft fruit growers for years and understands that this cultivation requires extremely efficient irrigation and fertilization.